Our homes have a direct affect on the type of activities and spatial relationship we have as a family within its walls. The tips below will encourage you to ask specific questions and provide you with points to consider in order to uncover the specific needs of your own family. Write down your personal brief for the house. Base this on your current everyday activities as well as new ones you see yourself engaging in the new house. Do you like cooking together or is dining together the main social time? Does anyone play a musical instrument and where would you like this to happen in relation to the other family members? Would you like to be able to supervise or help your children while they do their homework? What kind of activities are the ones that you define as quality family time? Do you picture playtime with your children on the kitchen table or on the rug by the fireplace? Where would you like your children to play? Do you have many large toys? Where should messy play happen? Asking these questions will help you consider the specific actions and decide where you would store your children’s toys and arts and crafts supplies in a way which is both easily accessible to them, and can be kept out of sight when needed. These design nuances can lead to you getting some well-deserved child-free time in the evenings. Once you start visualising your family’s specific routines in the new house, you will be surprised at the design ideas which will emerge, and how personal they are to your lifestyle. Parents of young children know that when it’s finally quiet for more than three minutes, it probably means upstairs your child might be testing how well a fork fits into their bedroom socket…..or if your mobile phone can actually float [Trust me, it can’t]. A young child requires constant attention, yet at the same time you may not wish to spend the next few years sitting in your child’s bedroom watching over their every move. 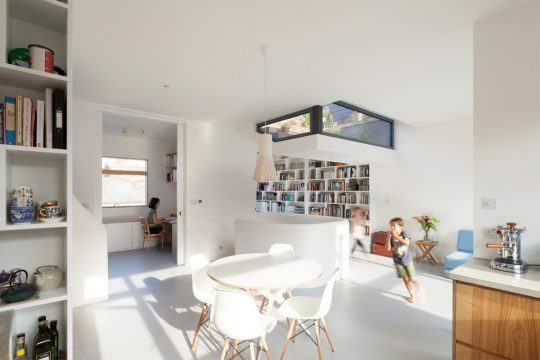 The solution to this might be a designated play area, carefully integrated within the main family space. This will allow independent play while being visually supervised. Spend time researching safety and security features for children and verify these have been considered by your design professional. It is often the case that young parents are naturally tuned to the small but important details which may have been overlooked. Safety locks and window restrictors. Toy and other storage spaces used by children are safely and easily accessible as well as operable. If careful consideration has been applied, when it is time to move in you can feel reassured that the environment you have created for your family is safe, fun engaging. 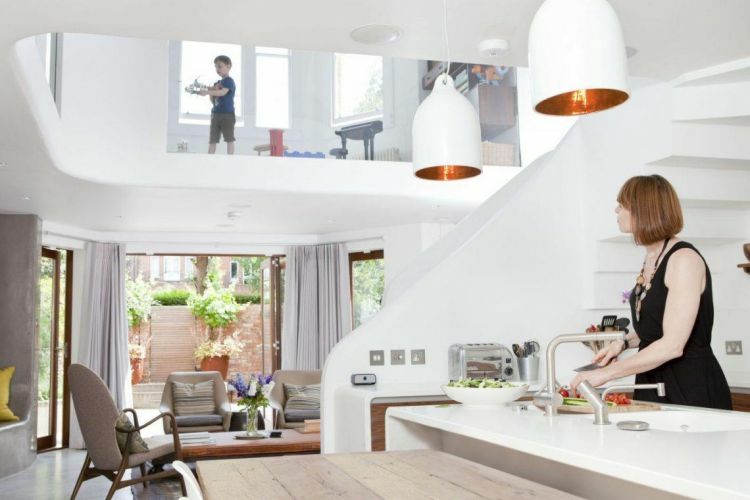 Designing your home for the future – Consider your family dynamic in a decade. Most people see the house they plan to work on as their main family home for many years to come. A large architectural project is one which you are unlikely to repeat in the coming decade. The Lego and dollhouses will most likely make way for desks, sports equipment and drum kits. The nursery turns into a teenage bedroom, which you may not anymore wish is too close to your own bedroom. Considering the dynamics of the house in relation to your changing family and how rooms can be re-designated in a few years time is a vital consideration. The design of your home fundamentally affects everyday activities. As the client you can help in making sure that throughout the process the particular requirements and aspirations of your family are kept in mind and reflected successfully in the final design of your family home.